On Christmas Day, Israel launched what Bloomberg described as its first airstrike in Syria since President Trump’s “shocking” announcement that he would withdraw all US troops from Syrian territory (to the disgust of US national security officials and every neo-con anywhere). The strike targeted an ammunition depot in the Damascus countryside believed to belong either to Iran’s Revolutionary Guard, or its Lebanon-based proxy Hezbollah. According to Syrian and Russian officials, the airstrike was launched from Lebanese territory. 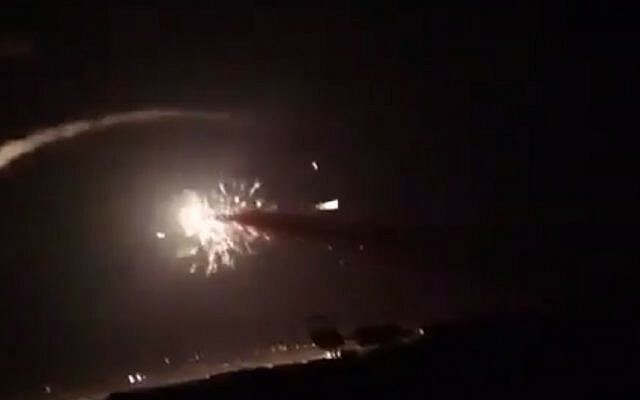 Air defenses intercepted most Israeli missiles, state-run Syrian Arab News Agency reported, citing an unidentified military official. However the U.K.-based Syrian observatory for human rights that monitors the war said three targets were hit, including weapons depots belonging to Iran or its Lebanese Hezbollah proxy, and that projectiles had fallen in the Israeli-occupied section of the Golan Heights. In response to the US’s decision to withdraw, Israeli Prime Minister Benjamin Netanyahu said the IDF would “increase efforts” against Tehran’s entrenchment in Syria as a result. Israel reportedly launched six f-16 fighters from Lebanese territory to carry out the strike. The Russian Ministry of Defense claimed that 14 of 16 missiles launched by Israel had been intercepted, and that the strike had occurred while civilian planes were landing at nearby Damascus airport, threatening innocent lives. Some projectiles also fell in the Israeli-occupied section of the Golan Heights. With the US pulling out of Syria, it’s widely expected that Iran will benefit, as the country has offered consistent support to Syrian President Bashar al-Assad since the civil war began more than six years ago. Israel has carried out hundreds of air strikes against Iranian targets in Syria since the beginning of the conflict, though it rarely acknowledges the strikes. Iran is set to reap the rewards of its support for Syrian President Bashar al-Assad in the country’s long civil war, in which Iranian-backed militias including Hezbollah have played a crucial role in the regime’s fight against an opposition insurgency intent on overthrowing Assad. Israel rarely acknowledges conducting strikes on Syria and its military wouldn’t comment on reports of offensive activity. However it said on Twitter on Dec. 25 that it activated its aerial defense system in response to an anti-aircraft missile launched from Syria. Israel has yet to acknowledge the strike.